The Adventures Of Prince Flamus - Leaving Again? 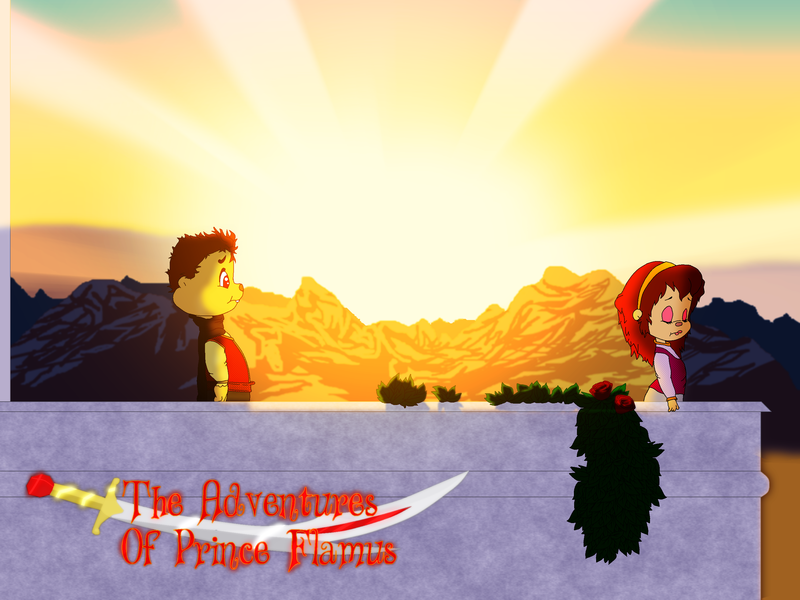 Eighteenth Image Previewing The Adventures Of Prince Flamus, Something I hadupcoming. Uploaded while I am in Hospital. Currently been here for 3 Weeks and 8th time this Year.. The Last Image I drew back in 2014 before Severe Clinical Depression Hit, I Crashed and stopped doing the things I used to love such as Drrawing, Audio Design, Music Composition and even Gaming. This Image is largely Unfinished as you can tell from the lack of detail and more plants on he Balcony. All in all, I was mildly happy with this in the end and only opened it up yesterday to finally add in a few touches before Uploading.